The meeting location will be the Muntgebouw (‘Mint Building’). 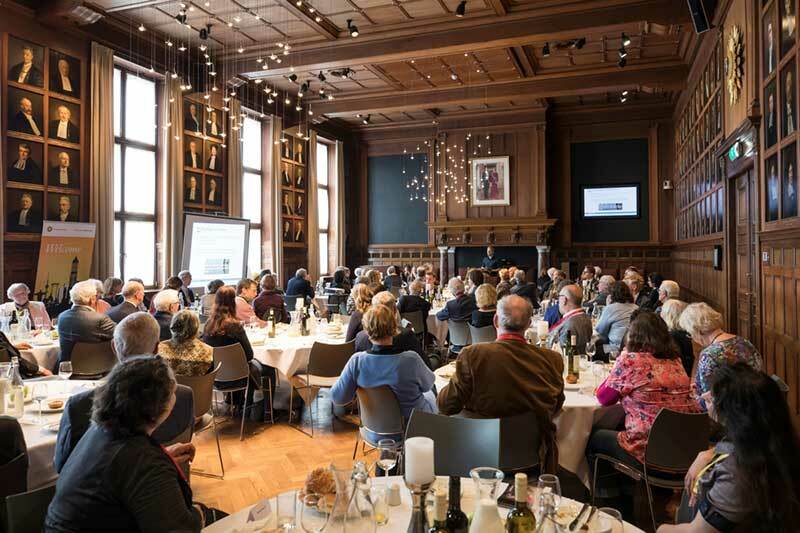 The Muntgebouw is a monumental building, housing the Royal Dutch Mint, and was transformed into a venue for events and conferences some years ago www.muntgebouw-utrecht.nl. 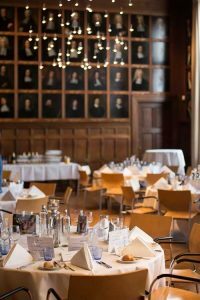 Venue for the Gala dinner on Thursday, 8 November 2018 will be held the beautiful old Academic building; the University Hall Utrecht. It is located in Dom Square in the centre of the city. The University Hall is more than just a monument. It is Utrecht University’s ceremonial heart and its public face. The city of Utrecht lies in the center of the Netherlands and is about 45 km south of Amsterdam. Utrecht, with it’s inextricable combination of rich past and dynamic present, is a truly unique place. This 2000-year-old city teems with a wide range of interesting museums and cultural events with programs full of theater, dance, art and more. Walk the quaint streets and along the canals in the Utrecht Museum Quarter and sample the pleasant, intimate atmosphere for which Utrecht is famous. 70,000 students represent the character of this lively city of creative young people. Welcome to Utrecht! Will you arrive at Shipol Airport? The Dutch Railways (NS: Nederlandse Spoorwegen) makes it possible to order and download an e-ticket from Schiphol Airport to Utrecht Central Station (return and/or single fare). You can order and pay this e-ticket at https://www.ns.nl/producten/en/losse-kaartjes/p/enkele-reis. This will make you avoid the long lines in front of the ticket distribution machines. A taxi from Amsterdam Schiphol airport to Utrecht would normally cost around €90 on the meter. Some companies can offer lower fixed fares. 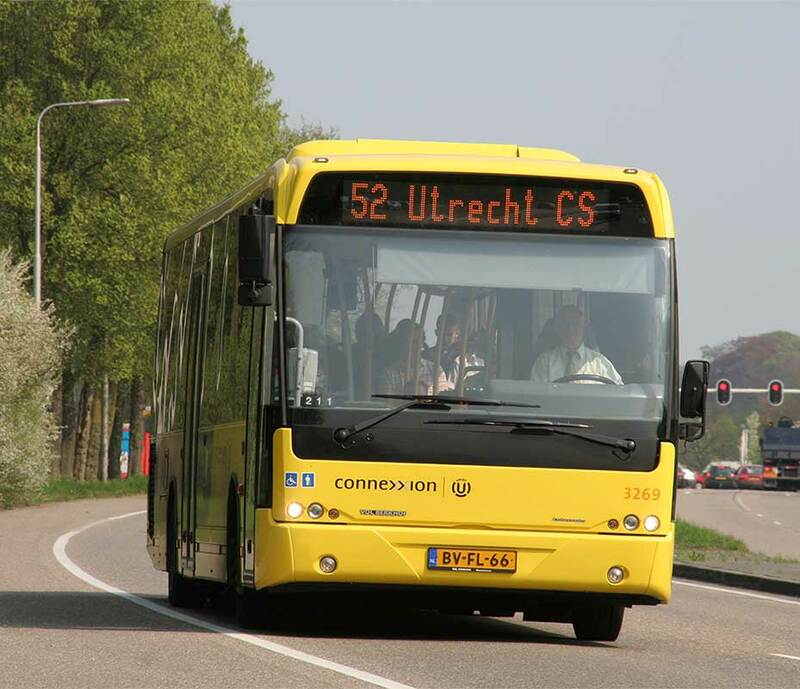 For example, local Utrecht taxi company UTC has a fixed €55 Utrecht-Schiphol fare either way. Getting to Utrecht from Amsterdam Central railway station – Train services run every 15 minutes via Amsterdam Amstel. The journey takes 27 minutes. One-way tickets costs €7.50 (2nd class) or €12.80 (1st class). Getting to Utrecht from Rotterdam – Train services run every 15 minutes from Rotterdam to Utrecht, via Rotterdam Alexander and Gouda. This 37-minute trip costs €10.30 (2nd class) or €17.50 (1st class). If you are heading to Utrecht by rail from France/Belgium/UK, you should change at Rotterdam and not Amsterdam. This can include Eurostar passengers from London who changed in Brussels, Thalys passengers from Paris/Brussels/Antwerp and Intercity passengers from Brussels/Antwerp. Getting to Utrecht from Eindhoven – An intercity train service runs from Eindhoven to Utrecht via Den Bosch every 15 minutes. The 49-minute trip costs €14.30 (2nd class) or €24.30 (1st class). More information for those arriving at Eindhoven airport can be found here. International train services to/from Utrecht – The regular ICE train between Frankfurt/Cologne/Dusseldorf and Amsterdam makes a stop at Utrecht Central railway station. There is also a daily service to/from Basel in Switzerland. In addition, all the night train “sleeper” services to/from Amsterdam (Basel/ Zurich/ Munich/ Berlin/ Copenhagen/ Prague/ Warsaw) make a stop in Utrecht. 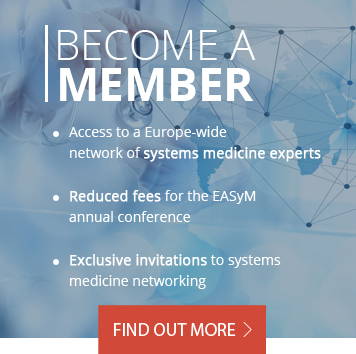 We recommend you register and reserve your Utrecht Region Pass. This is a public transport card that provides access to the entire public transport system in the Netherlands, including ‘OV-fiets’ – bicycle rental. It is a “pay-as-you-go” public transport card with national coverage linked to your credit card. You collect it at one of our pick-up locations and can immediately start to travel. For easy, hassle-free public transport travel go to www.utrechtregionpass.com.